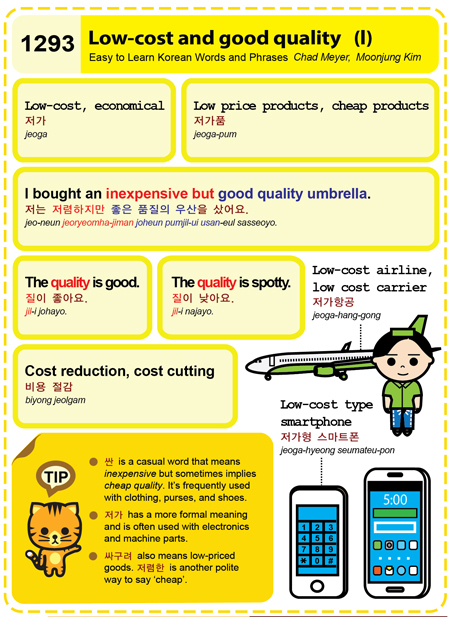 Easy to Learn Korean 1565 – You get what you pay for (part two). Posted in Series	| Tagged cheap, Cheap things are bean-dreg cakes. 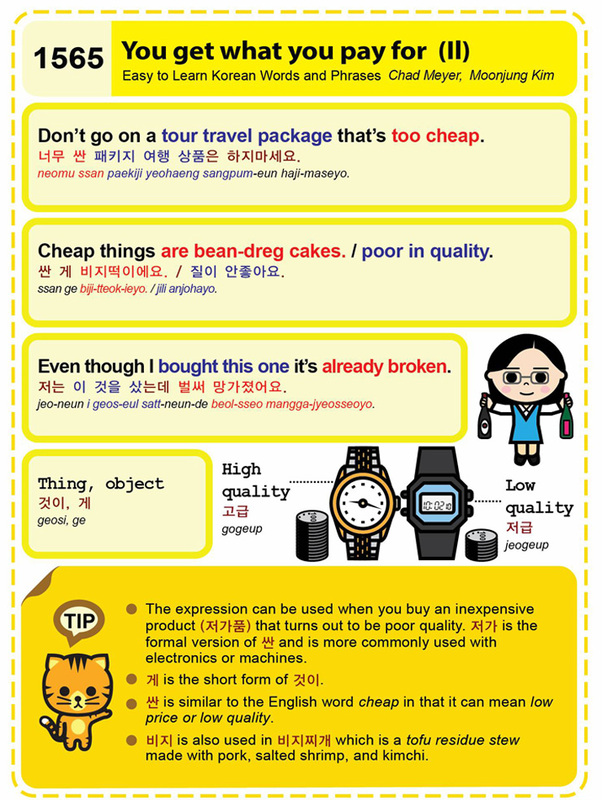 / poor in quality., Don’t go on a tour travel package that’s too cheap., electronics, Even though I bought this one it’s already broken., high quality, inexpensive product, kimchi, low quality, machines, object, pork, salted shrimp, thing, tofu stew, you get what you pay for, 것이, 게, 고급, 너무 싼 패키지 여행 상품은 하지마세요., 비지, 비지찌개, 싼, 싼 게 비지떡이에요. / 질이 안좋아요., 저가품, 저급, 저는 이 것을 샀는데 벌써 망가졌어요.